Frontman Rick Witter has discussed the similarities between the One Direction star's debut solo album artwork and their Ocean Pie single. 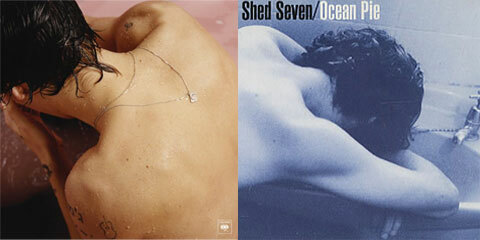 Shed Seven have addressed claims that Harry Styles' debut album "ripped off" the artwork for their Ocean Pie single. The One Direction star's cover art sees him bent over a pink bath or sink, which bares a strikinh resemblance to the artwork for the York band's 1994 single. Talking about the Sign Of The Times singer's recent appearance on British TV, the Chasing Rainbows rocker added: "It’s a nice compliment. They really do say imitation is the biggest form of flattery. I saw him on Graham Norton trying to be all indie. Good luck to the lad."